ARCHS will miss the leadership of Terry Blake as he embarks onto a new journey in retirement. As CFO of ARCHS for the last decade and a half, Terry was a crucial component in ARCHS' success. During his tenure at ARCHS he insured its fiscal soundness and tirelessly led the organization through local and federal audits. Along with his work at ARCHS, Terry was the President of LRM Financial Services. 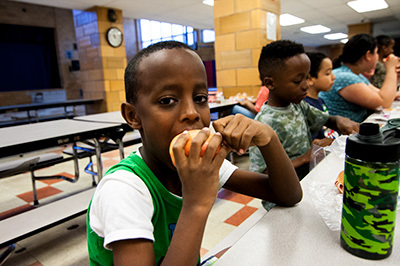 ARCHS’ effort to support after school programs extends well beyond the school year and even outside of the after school site. 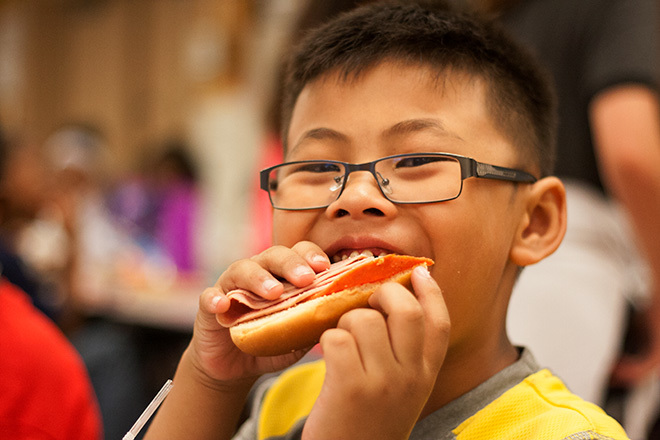 This summer ARCHS supported two major programs, one at St. Frances Cabrini facilitated by Provident Inc., and a second at St. Paul’s United Church of Christ facilitated by Neighborhood Houses. 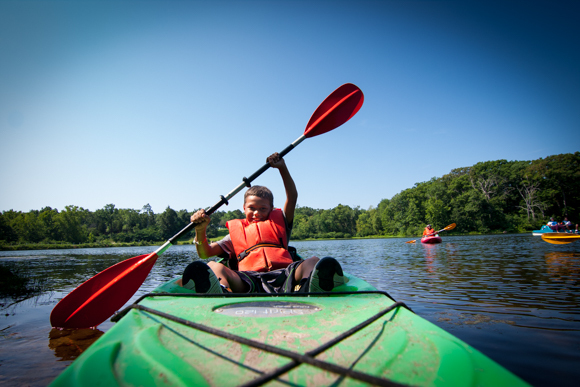 These programs provide a large variety of educational activities for youth, ranging from disguised academic lessons to week long camping trips. 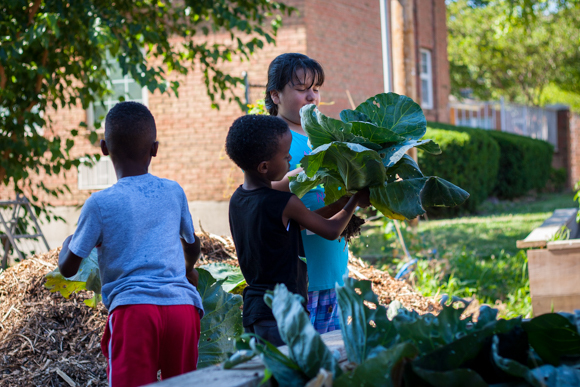 This summer at St. Frances Cabrini, one of their youth’s main activities was maintaining a local garden. On an early June morning, they had two primary tasks; water the garden and pick lettuce and basil. 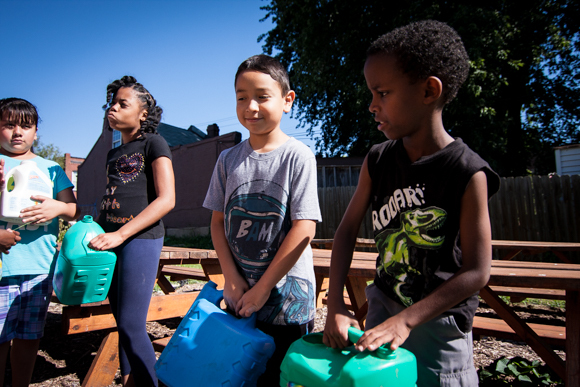 After unlocking their tool shed, the kids lugged around repurposed detergent jugs, filled to the brim with water, stopping at ever plant bed to water the plants. After the garden was sufficiently wetted, and a few of the kids having been accidently drenched from leftover water, they set out to collect some fresh produce. As the kids huddled around the raised garden bed, their instructor advised them on which plants were ready to pick. They spent the next fifteen minutes uncovering heads of lettuce and carefully picking basil leaves off the stem and proudly showed off their hard work. The fresh produce they harvested that morning was cleaned and sent home in hopes of incorporating into the family meals. 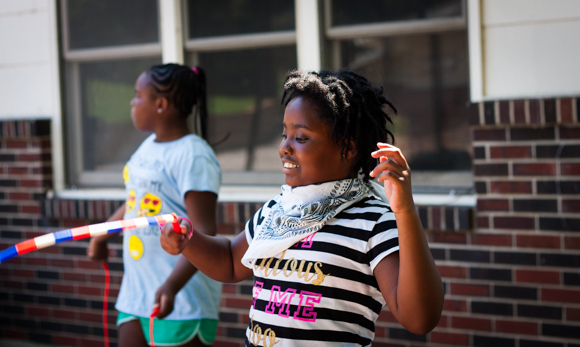 Later in the summer ARCHS had the opportunity to visit St. Paul’s summer program, facilitated by Neighborhood Houses. That afternoon the kids were in the middle of a weeklong project repairing donated computers. 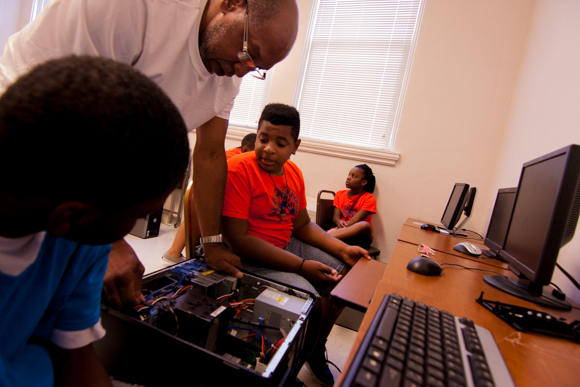 Earlier in the week the youth stripped down each computer into its individual components, cleaned them and then pieced them back together replacing any damaged part. In this particular class session, the students were huddled around their newly refurbished machines patiently staring at blues screens while Windows 10 installed. At the end of the week their hard work would pay off as they each brought home the PC they cleaned and built ready to help them with future school work. These students also had the opportunity to partake in a week long summer camp at Camp MoVaL in Union, MO. 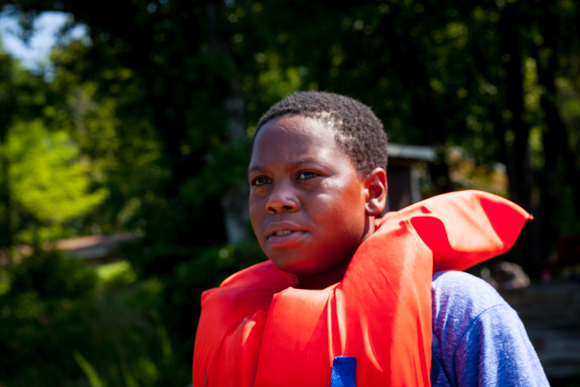 On the day ARCHS visited, the kids were battling the hot weather with some morning boating. While most patiently waited in the shade for their turn, groups in paddleboats or individual kayakers took turns paddling across the lake, being careful not to tip into the lake. After their boating excursions they participated in an exercise on social biases and how to recognize stereotypes in their everyday lives. During the activity kids were challenged to confront both their own biases and those of their community. From there the kids ventured back into the heat to play a friendly game of capture the flag before lunch. As they divided into teams the coordinators rallied the kids by starting camp chants that everyone loudly echoed. ARCHS also connected Gene Slay’s Girls & Boys Club with The Green Center in an effort to better connect kids with nature. The first day they toured the Green Center in University City discovering a variety of outdoor spaces including a wetland, woods, and prairie. The second day they visited Babler State Park and enjoyed hiking trails and observing wildlife. ARCHS is proud to have supported all of these programs this summer. Each provides youth with unique opportunities to enrich their summer while exploring new ideas and activities in preparation for the upcoming school year. As the entrepreneurs, leaders, and workers of tomorrow, children are vital to our country’s growth, prosperity, and well-being. When children thrive, our nation thrives. That is why the Annie E. Casey Foundation has produced the KIDS COUNT® Data Book every year for nearly three decades: it provides an annual snapshot of how America’s children and families are faring in every state and across the nation. 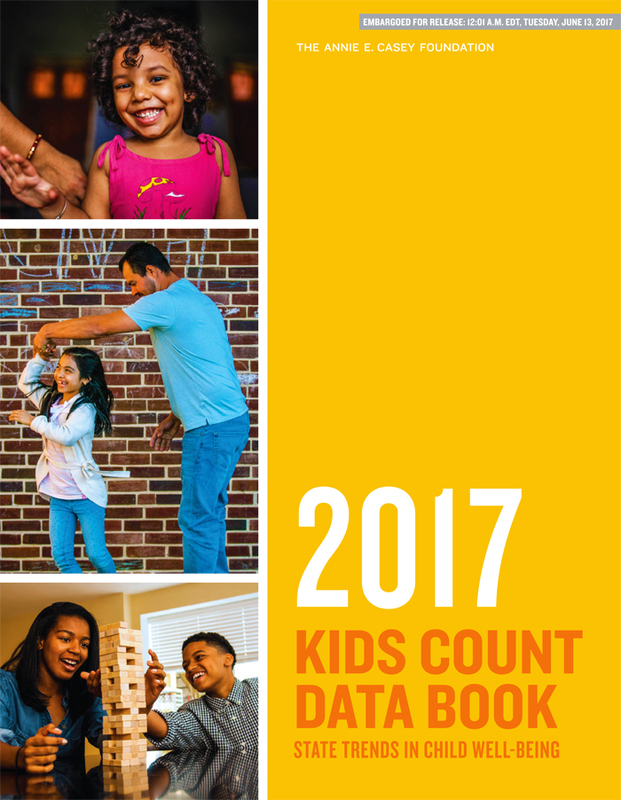 The 2017 KIDS COUNT® Data Book focuses on key trends in child well-being over the last six years (roughly 2010-2015) – a period in which the country continued its economic recovery. These key trends are a measure of child well-being in the four domains most needed to thrive: economic well-being, education, health, and family and community. The 2017 Data Book shows some steady improvements in economic well-being for Missouri’s children. More preschoolers are enrolled in Missouri schools and more of our 4th graders are proficient in reading. More Missouri children have health insurance and the number of teens affected by drug abuse decreased. The geography of poverty for children in Missouri means that they are in poor families in very poor neighborhoods – a double burden. Being surrounded by poverty limits a child’s opportunity and is a catalyst for them to continue a cycle of poverty as they grow. 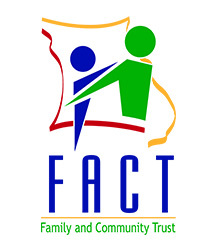 Missouri Family and Community Trust (FACT) is a not-for-profit organization serving as the Annie E. Casey sponsored KIDS COUNT® organization in Missouri - Missouri KIDS COUNT®. ARCHS serves as FACT’s KIDS COUNT® representative in the St. Louis region. The Annie E. Casey Foundation invests in a network of KIDS COUNT® organizations across the country that promotes the Foundation’s annual Data Book.